We all squeezed the stick and we all pulled the trigger, but the Red Wings took Sid the Kid and the Pens in six games in the 2008 Stanley Cup Finals. But, damn, they fought hard, led by the youngest captain in NHL history, our continually excellent and record-breaking Sidney Crosby. At the time of this writing, Cole Harbour native Crosby is again leading his stellar team, starting on his fourth season in the league. Having come so close, you gotta believe that he’s going to want to go back to those finals and take what he learned last season to bring a different result. 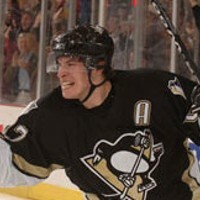 Stay healthy and play hard, Sid. We’ll be watching.